Maria B Lawn prints are a range of lovely designs blended with a medley of colors, cultural patterns and sophisticated styles. The designer has a talent for bringing together ethnic patterns with trendy fashion styles. The choice of colors combines the bright and vibrant colors of our culture with muted soft pastels. Chic yet elegant - that is what comes to mind when you see Maria B's lawn prints. Very refreshingly different. Their designing has been a hallmark of fashion for women from all walks of life both locally and internationally. They have formal wear, bridal wear, ready to wear and unstitched collections. We will focus on Lawn prints here. 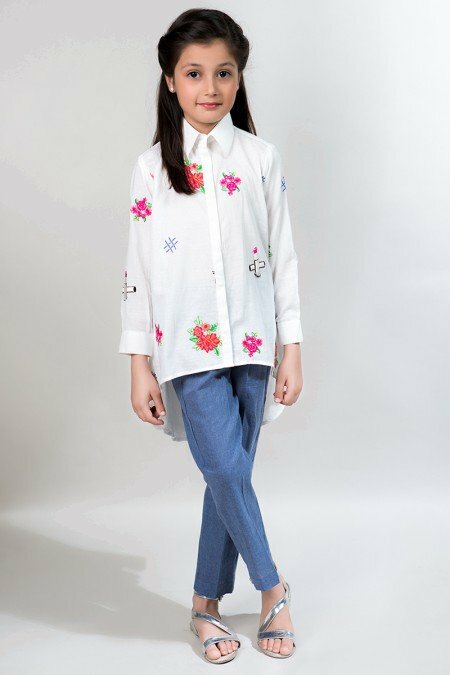 Their kids collection has both casual and formal ranges in beautiful styles and colours. They have an online store for a diverse collection of hip, trendy and traditional unstitched lawn designs available for delivery all over the world.